Shocking video emerged Wednesday of a mother passed out from an apparent overdose as her young daughter watched in horror. 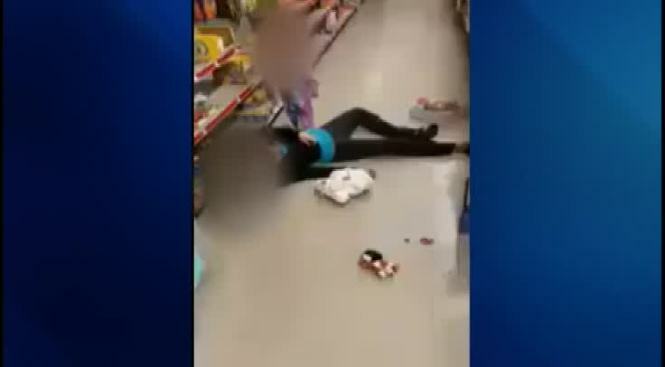 Police in Lawrence, Massachusetts, released the video, which shows the mother on the floor of a Family Dollar as her daughter desperately tries to wake her up. "It's heartbreaking. This is definitely evidence that shows what addiction can do to someone and what happens when they use these types of narcotics," Lawrence Police Chief James Fitzpatrick said. Officers found residue and paraphernalia consistent with either fentanyl or heroin in the mother's bag, according to Fitzpatrick. She was revived with Narcan and then transported to Lawrence General Hospital. Police said she will be charged with child endangerment. 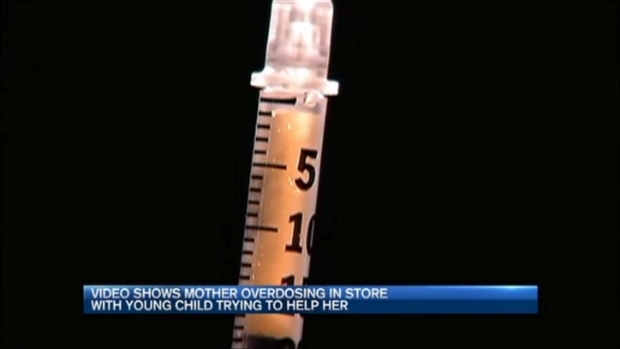 Video recorded at a Family Dollar store in Lawrence, Massachusetts, shows a mother passed out from an apparent drug overdose as her young daughter cries and tries to wake her. "You see someone in the throes of addiction like that, what they're willing to sacrifice," Fitzpatrick said. "I don't know if they have that thought process about what they're sacrificing to feed their addiction." Overdose cases involving children only account for about 10 percent of the overdoses police respond to in Lawrence. However, it's become part of a much bigger problem. "I think it's indicative of so many things going on in our society now," said Deanna Cruz, who helps run an opioid prevention program for Merrimack Valley. Cruz did not watch the video out of respect for the family involved. She also questioned why someone would film the incident, rather than step in to assist. "Why not help a crying child whose mother is laying there? I like to see her as a person who happens to have an addiction issue," she explained. Through her work, she hopes to create better collaboration between police, health officials and the public when it comes to addressing addiction. Read, watch and experience more stories around our special presentation GENERATION ADDICTED. "We know in order to get addiction under control people need resources. People need long term sustained resources to get their addiction under control," Cruz said. "And that's what we don't have." Following Sunday's incident, the 2-year-old was taken into "emergency custody" by the Department of Children and Families. Although necn reached out to the mother involved, she had no comment on the incident. "We are all impacted by this epidemic. If not personally, you or a loved one," Cruz said. 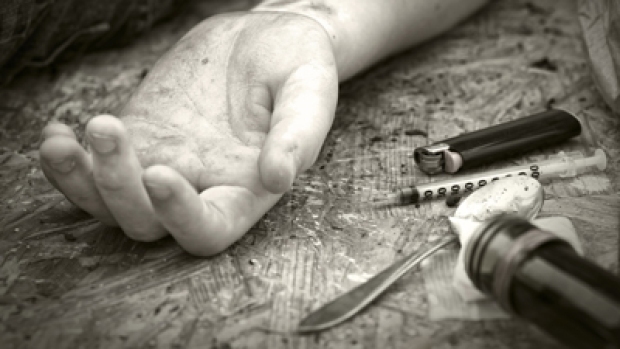 "If you are out in society today, you are potentially going to be exposed to an overdose."